At WISC, we take a non-traditional approach to the admission process to our core program. Here is a list of frequently asked questions about applying to the WISC Core Teacher Training Program. If you have more questions please contact us by phone or email. People who will benefit society through the education of children, and who are drawn to the nourishing and healing potential of Waldorf education and its underlying philosophy, which is anthroposophy. Teachers should have a good command of English and math skills. Waldorf schools and parents generally prefer that teachers hold a college degree, although it is not a requirement for admission to WISC. We strongly encourage people of all cultural and economic backgrounds to consider joining our program. There are three start dates for students: June-July, September, and January. Students at different stages of the program are brought together in most classes to share and interact. We are enriched by each other's experience and questions. We prefer you submit your application to WISC one month prior to your preferred start date. Tuition is $8,800 per year. Flexible payment plans are available. It is possible to apply for tuition adjustment, if necessary. It is WISC's policy to include all qualified applicants regardless of their financial status. It is also equally possible to make additional donations to help others, either while you are a student or after you graduate. 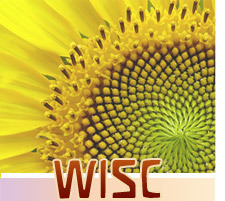 The WISC core program meets on three Saturdays of each month, September through May. There will be no classes at Thanksgiving, Christmas or Easter. The Los Angeles program meets on the campus of Highland Hall Waldorf School, in Northridge. This campus is located in the middle of the San Fernando Valley, just west of Balboa, just north of Plummer. The San Diego program meets on the campus of The Waldorf School of San Diego, in City Heights. This campus is one mile from the Home Avenue exit off Interstate 805. We recommend three easy steps for applying to a future WISC Teacher Education program. Step 1: Introduce yourself to Waldorf Education. Attend an 'open house' or 'walk through the grades' in at least one Waldorf school, and by reading articles and books related to Waldorf Education. Please contact one of the Southern California Waldorf schools to inquire about their schedule. Visit the About Waldorf page for a list of schools. You will also find web site links that include additional information about Waldorf education and contain reading lists, including The Association of Waldorf Schools of North America (AWSNA) and Steiner Books Anthroposophic Press. Step 2: Review our upcoming courses and special workshops. You are certainly welcome to attend a class of interest prior to, or separate from, your joining the WISC program. Visit the WISC Semester Schedules page for schedules and a list of classes. Step 3: Make an appointment for a mutual interview. We will explore together whether this program is a good fit for you. Upon our mutual agreement, you will be requested to complete the registration forms and submit supporting documents listed in the registration form.